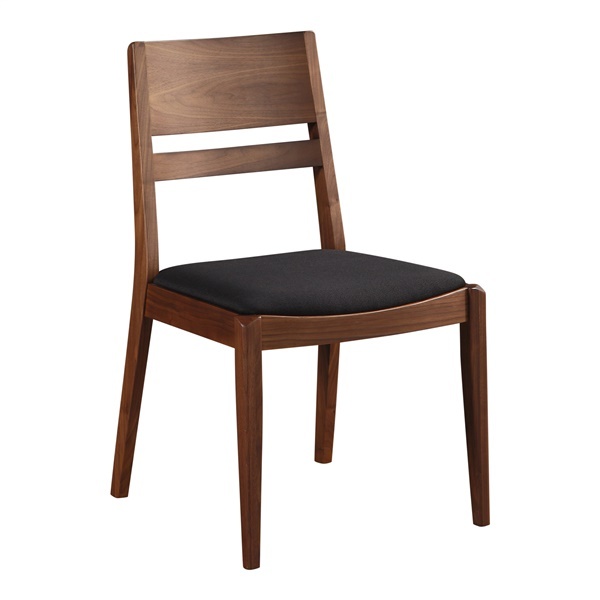 The Figaro Dining Chair boasts a sleek, contemporary profile that will easily complement any interior setting. Durably built using walnut solids and veneers combined with a padded fabric seat, this piece will deliver long-lasting strength and comfort for years to come. Back tapered legs create increased visual interest and appeal, while the natural wood finish is beautifully contrasted with the black upholstery to enrich your living space.